Welcome to Part Three of our three-part analysis of the Shenmue III release date announcement trailer. If you haven't read them already, Part One can be found here and Part Two here. We continue on from the second part, in which Ryo appeared to be taking part in some kind of sparring challenge with a silver-haired man inside an opulently-decorated room. Immediately after this, the scene changes back to the caverns at the Stone Pit. We see Ryo and Shenhua - or, to be specific, their legs - at the start of a rocky passage, with another illuminated area of the cave beyond. Reflections are cast off pools of murky water on the ground. 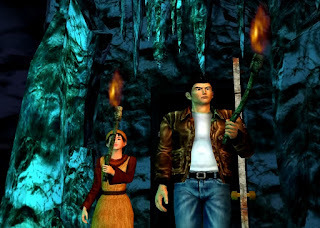 Cables are strung along the cave roof, most likely more of the "fuses" that set the cave's network of torches alight, as seen at the end of Shenmue II. Ryo leads the way down a rocky passage. 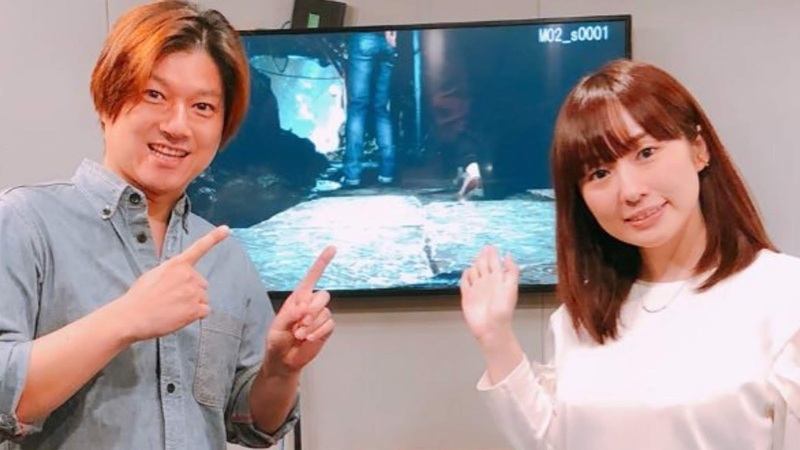 A photo from a voice-recording session for the Japanese audio with Haruka Terui (right; voice of Shenhua) and Masaya Matsukaze (left; voice of Ryo). This shot also shows off some of the detail in the model of Shenhua's low-heeled shoes: thin gold piping decorates the heel. sides and front. The next clip shows Ryo and Shenhua cautiously peering ahead. It makes great use of subtle body language to depict their relationship and differing personalities. Shenhua appears to be the more cautious of the two, turning towards Ryo as if to consult with him. Ryo, on the other hand, holds out his torch out and presses forward determinedly, without a glance at his companion. Another detail can be observed in the above animation, although it is not easy to distinguish: drops of water are falling rapidly around them (it is most easily seen by against the dark wall area between the two characters). 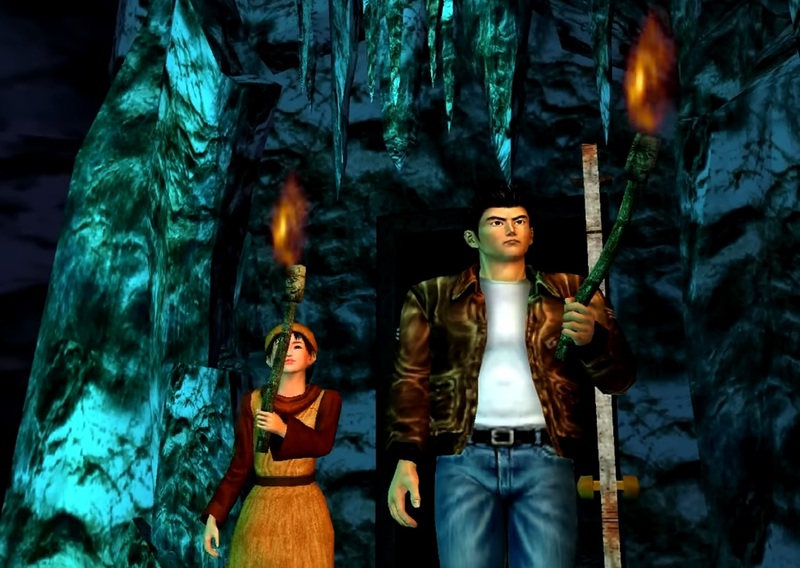 A small piece of trivia: it seems that Shenhua now prefers to carry her torch in her right hand, whereas in Shenmue II she carried it with her left hand. From a new camera position we are now shown what lies ahead of them. The passage opens out to another wide cavern, already lit by burning torches fixed to the wooden supports. Two large pieces of timber lie in the foreground, perhaps part of a broken support. Water here falls heavily, forming pools on the ground. 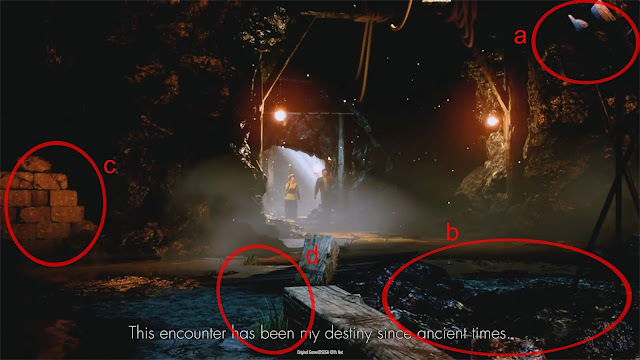 I have labelled some of the points of interest in this image. Label "a" & "b": a brazier stands here, but unlike the ones in the cavern with the mirror carvings, this one is not lit, although the appearance of its fuel suggests that it has been in the past. It is now extinguished, which is not surprising given the water drenching it from above. The brazier is surrounded by some kind of dark material which almost looks like piles of ash; perhaps the remains of an open fire by someone here previously. If so, then those large pieces of timber may have been placed there as a make-shift seat. Label "c": a deliberately-stacked pile of bricks stands at the left side. There are not many clues about what this could be, but one possibility is that a passage has been bricked up to prevent access. Maybe Ryo will have the chance to explore this and discover what it hides. Label "d": significantly, there are small tufts of grass growing here and there on the ground, suggesting that the outside world lies not too far away - indeed, the "cavern" we see here may in fact be an entrance. Could the falling water actually be rain, rather than water that runs through the cave system? It's possible although we do not observe any other rainy scenes in this trailer. In any case, the grass is is an indication that Ryo and Shenhua are about to find their way to the outside. A blocked-up passage? And water, gushing down the walls; pelting down from above. A new scene fades in, and we see Ryo and Shenhua standing together under a starry sky, the landscape before them bathed in the light of the full moon. A tall wooden structure rises before them with a sharply angled roof. To the right of it, a path runs past, lit by a single electric street lamp. Straight ahead, the glimpse the thatched roof of a village house can be seen, with orange shapes (perhaps baskets) scattered on top of it. 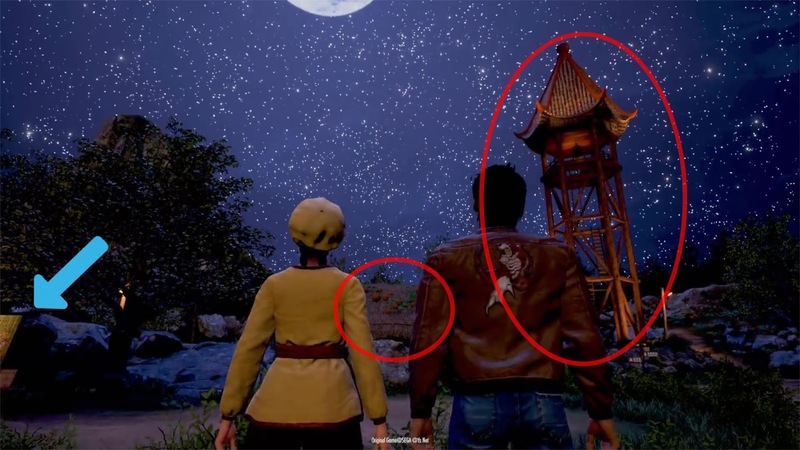 The location appears to be Bailu Village, giving us a closer view of what is presumably the watchtower that we saw in the distance in the "First Teaser" video at Gamescom 2017. 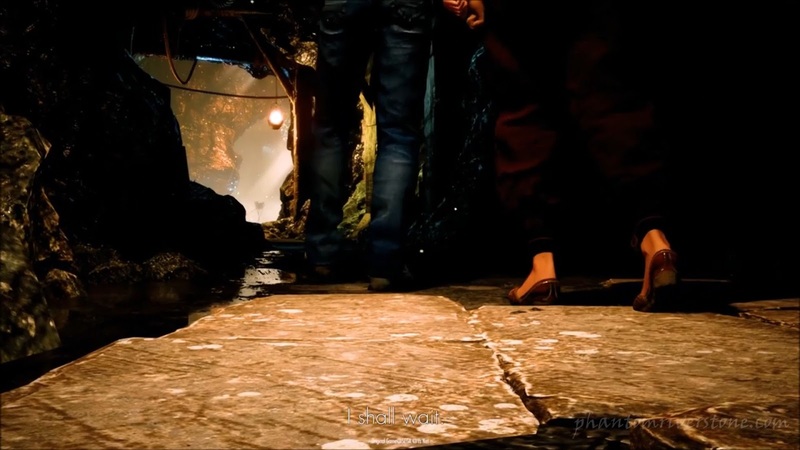 Related post: Shenmue III Video "First Teaser"
Left: a close-up of the image. Right: a Lucky Hit board from Shenmue II. The selection and timing of the scenes and images within the trailer have been carefully coordinated to the audio track. One nice illustration of this is when Shenhua recites the lines "A dragon shall emerge from the earth, and dark clouds shall obscure the heavens" and "A Phoenix shall descend from above. Its wings will create a purple wind"; as she does so, the respective mirror carvings in the cave are shown. 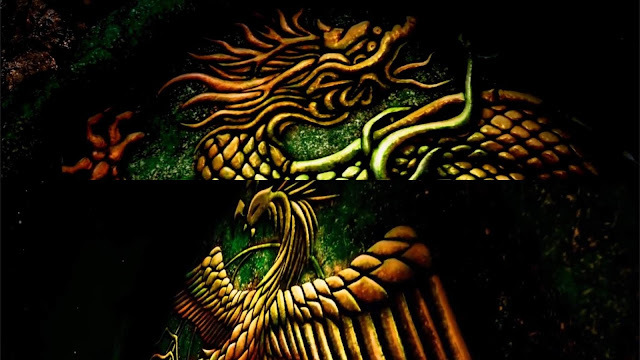 On the heels of the poem's reference to a Dragon and Phoenix, we are placed back in the building from earlier in the trailer - but this time Ren is nowhere to be seen, and there is no silver-haired man and no bystanders. Instead, in front of Ryo is the figure of the man who killed his father; none other than Lan Di himself. The content and placement of the items confirms that this is the same room as seen earlier in the trailer, and not a higher level of the same building. Assuming this scene is in fact part of the game, then meeting Lan Di (alone) may be the result of Ryo successfully completing the challenge put to him by the silver-haired martial artist earlier. Of particular interest is the fact that Ryo has not taken up a fighting stance (although his hands are understandably clenched into fists). He even takes a few steps forward, and we can see Lan Di react tensely. 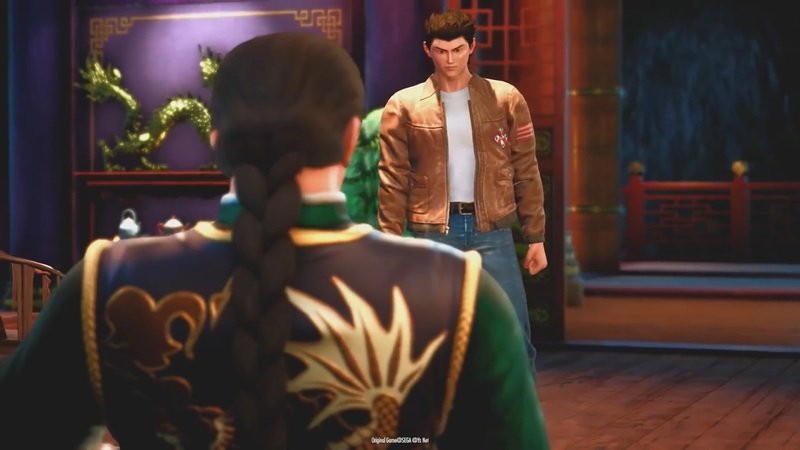 Hence it appears that Ryo intends to bargain or negotiate with Lan Di rather than fight him immediately, realizing that launching a physical attack would not be wise. The camera then swings around to show Lan Di's face, the first time we have seen it in Shenmue III. I feel there is still room to bring his facial features slightly closer to his appearance in the first two games (of course it should be considered work in progress for now in any case). The detail on his costume is amazing, however. At the same time, Shenhua reappears on-screen as she reaches the end of the prophecy. 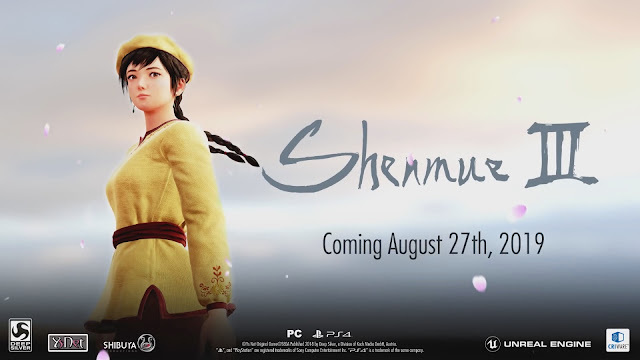 And finally, with a fluttering of cherry blossoms, the strokes that form Shenmue III's "new" logo are displayed alongside Shenhua and the release date of August 27th, 2019. Although there have been mixed opinions in the community regarding the logo versus the style of the one from the first two games, as presented here it fits perfectly. 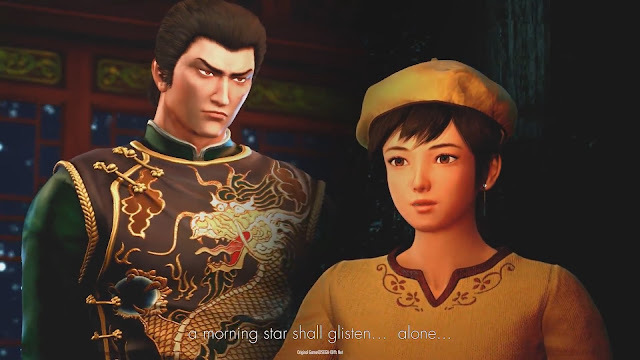 It is significant also that the trailer ends with Shenhua standing by herself - "a morning star shall glisten... alone..." - rather than with Ryo, or even showing the two standing together, further evidence that the heroine of Yu Suzuki's story is to play a central role in the game this time. 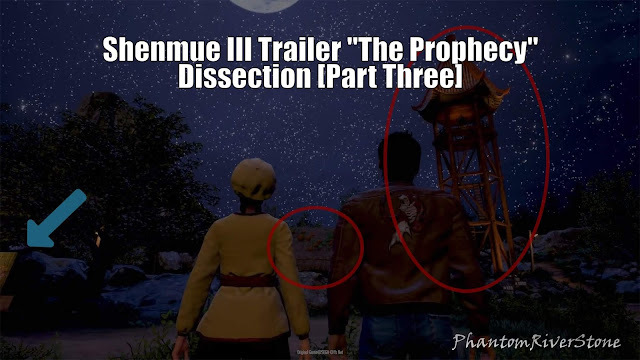 I hope you enjoyed this series of posts analyzing the trailer content, and that you discovered some details that you may not have noticed on your first viewings. 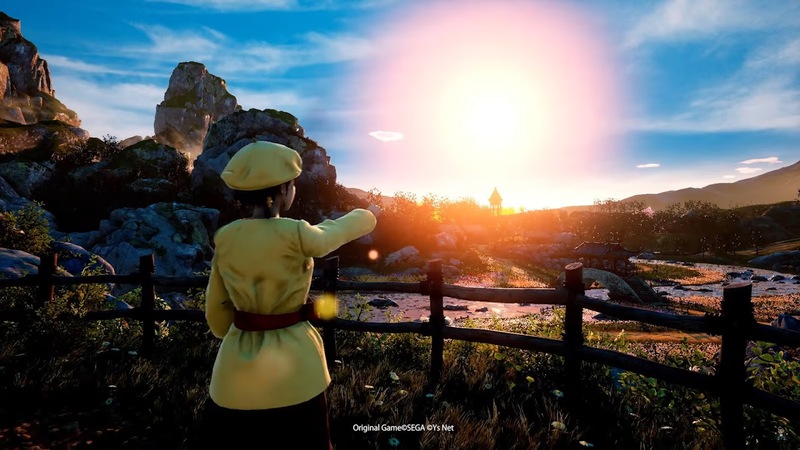 Each of the scenes has offered several points of interest, and bodes well for a carefully-constructed and in-depth gaming experience on the game's release. If you enjoyed this post and aren't a patron yet, consider supporting Phantom River Stone from just $1/month. If you choose the $2 level you'll get advance access to all premium posts (like this one) published during the month, plus other cool rewards like weekly Shenmue news recaps & more! Nice post ! Apart from the body language thing (I believe the current state of development is still missing the full facial animation), the analysis always make me more curious and dreamy about what would come in this game. Thank you Norman! Yes, as you say we may be able to look forward to further refinement to the facial expressions as development progresses. Exploring Bailu village at night under the stars (and moon) is also something I can't wait to experience. New to your blog. Fellow Shenmue Fan. Nice site. I'll be looking forward to more in-depth analysis. Keep up the good work. Hey, welcome and thanks for checking out the site! Feel free to have a dig around some of the earlier posts too.